There are numerous wine making regions in France some of which are Alsace, Bordeaux, Burgundy, Champagne, Jura and Savoie, Langudoc-Roussillon, The Loire Valley, Provence and Corsica, The Rhône Valley and Southwest France. Each region is split into areas, and all have their own style and flavour. The character of the wine in each region is controlled by climate, soil and tradition. French usually do not put the name of the grape on the bottle. Instead they put the geographic name, the ‘appellation‘. This is because French grape differs from place to place – it depends on the soil in which it is grown, the slope it is grown on and the climate. Chalet Agent covers some of the most famous regions, and explains why wines are different in different areas. The Alsace, pronounced Al-sass, is on the Eastern side of France, sharing a border with Germany. Over the last few hundred years France and Germany have alternately owned the region, hence the wine from this area having a uniqueness and a strong German influence. The area is big, with many different soils and climates, so the grapes can be very different. Most vines are planted on the slopes of the Vosges Mountains so they ripen well. Wines from Alsace usually have the grape on the label, unlike other regions. Mostly white wines are produced in this area. The grape includes Pinot-Blanc, Tokay- Pinot Gris, Muscat, Gewürztraminer and Sylvanderr. Pinot Noir comes out of Alsace as a red wine and in bubbly rosé Cremant d’Alsace. Situated on the south-western side of France, Bordeaux is a huge area, and therefore wines from the region can vary widely in quality. Soil is an assortment of gravel and clay. The Atlantic Ocean, as well as its two large rivers the Gironde and the Garrone gives Bordeaux an ideal climate for vine growing. There are over 25 different areas in Bordeaux that produce wine, some producing red, some white, so it really can cause confusion. It is worth knowing that the only area that produces good red and white wine (dry) is the region of Graves, south of the port city of Bordeaux. Wines from Bordeaux are almost always a blend of different grapes. If you’re buying red wine, it might include Cabernet Sauvignon, Merlot, Malbec, Cabernet Franc, and/or Petit Verdot. The dominant grape in the blend simply depends on where the bottle is from. The city of Bordeaux itself is almost central to the region. Often we divide the region into the Left Bank and the Right Bank split by the Gironde river, which runs from the sea into two smaller rivers, the Garonne and the Dordogne. The Left Bank, on the west side, includes the Medoc and Haut Medoc (north of the city of Bordeaux) and Graves (south of the city). The villages of St. Estephe, Pauillac, St. Julien, and Margaux are all in the Haut Medoc. The Graves region to the south of the city includes Pessac-Leognan, home of the renowned Chateau Haut-Brion. The wine blends from the Left Bank are mostly dominated by the Cabernet Sauvignon grape, while blends from the Right Bank are more focused around Merlot. Between the two smaller rivers is a region called Entre Deux Mers which includes Cadillac, Loupiac, Premiéres Côtes de Bordeaux and Sainte Croix du Mont. This area is known for its white wines made from the grapes Sauvignon Blanc, Semillon, and Muscadelle. One third of Bordeaux producers bottle and label their wine under the name of their own château. The château, you understand, could be a one room building. Burgundy, or Bourgogne in French, is located in the east-central part of France. The soil varies from limestone to granite. A chain of hills called the Plateau de Langres runs from north-east to south-west through the department to the north of Dijon and continues south-westwards as the Côte d’Or escarpment, which takes its name from that of the department. It is the south-east facing slope of this escarpment which is the site of the celebrated Burgundy vineyards. ‘Red Burgundy’ refers to Pinot Noir. ‘White Burgundy” refers to Chardonnay. Wines from Burgundy are split into four major categories of quality. 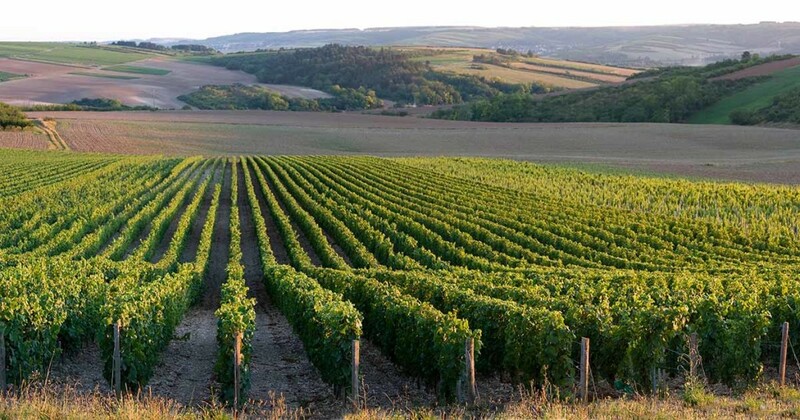 Regional wines (Bourgogne Rouge, Bourgogne Blanc) are ‘lowest quality’, made from grapes sourced anywhere in Burgundy. As the quality of wine goes up the grapes are from a more specific area. So to start with we have regional blends, then village specific, premier cru vineyards and then grand cru vineyards. Cru can be translated as ‘growth’. Champagne is a very famous wine region in France, due largely to its proximity to Paris. Grapes actually find it hard to ripen in the cool, northern environment and still wines produced in the area can hardly compete with the more southerly regions. It was Dom Pérignon who is credited for putting the bubbles into the wines of the region, and taking the time and care to produce wines that were a blend of grapes of the region. Because grapes generally struggle to ripen fully every year, wines from Champagne are often non-vintage, meaning the bottle holds a blend of wines from different years. However, some can be from a single vintage. Only sparkling wine from the Champagne region can be called Champagne. Even the still wines produced in the area cannot be called Champagne. The traditional way in which Champagne is produced is called methode champenoise and is very labor-intensiv, hence the price of a bottle. You will see ‘Premier Cru’ and ‘Grand Cru’ on bottles of Champagne – rather than vineyard (as per other wines) this label applies to the entire village from which the grape comes.